Hurlbert visited numerous places and sites in Ireland 130 years ago that remain tourist attractions today. In Clare, this included Killone Abbey, about three miles south of Ennis. 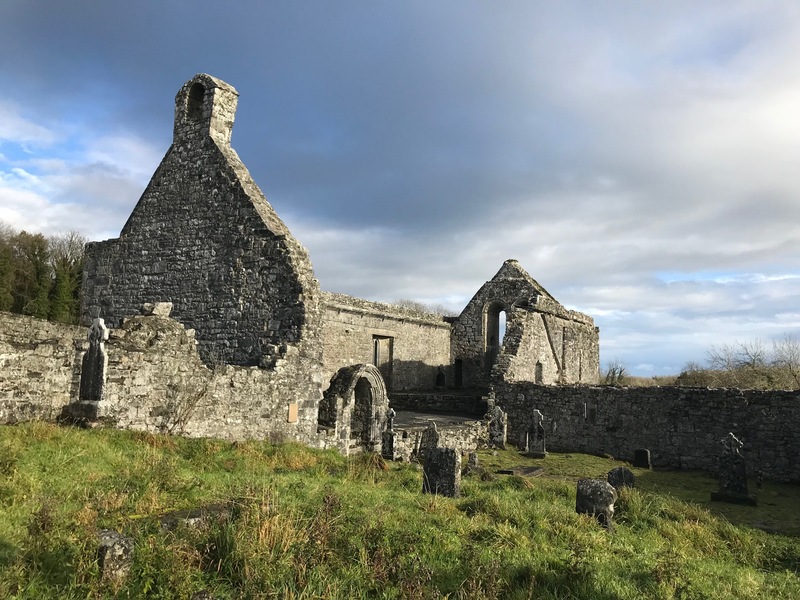 Like similar Irish ruins, the former Augustinian abbey was converted into a graveyard used “not only by the people of Ennis, but by the farmers and villagers for many miles around,” Hurlbert wrote. The graves are, for the most part, shallow, and closely huddled together. The cemetery, in truth, is a ghastly slum, a ‘tenement-house’ of the dead. The dead of to-day literally elbow the dead of yesterday out of their resting-places, to be in their turn displaced by the dead of to-morrow. Instead of the crosses and the fresh garlands, and the inscriptions full of loving thoughtfulness [of German and English cemeteries] … all here is confusion, squalor and neglect. Hulbert and his hosts, Mr. and Mrs. Stacepoole, also found skull with “a clean round bullet hole in the very center of the frontal bone,” the American wrote. “Was it the skull of a patriot or of a policeman? of a “Whiteboy” or of a “landlord”? Father Patrick White, in Hurlbert unmasked, mocked the scene, writing that Hurlbert “had not read his ‘Hamlet’ in vain.” The priest was bothered that Hurlbert sarcastically answered his own question by suggesting the shooting victim had been “some peasant selfishly and recklessly bent on paying his rent.” The American reporter was taking his own shot at the Land League. Killone Abbey, from my November 2018 visit. Near the ruins of Killone is a curious ancient shrine of St John, beside a spring known as the holy well. All about the rude little altar in the open air simple votive offerings were displayed, and Mrs. Stacpoole tells me pilgrims come here from Galway and Connemara to climb the hill upon their knees, and drink of the water. Last year for the first time within the memory of man the well went dry. Such was the distress caused in Ennis by this news, that on the eve of St John certain pious persons came out from the town, drew water from the lake, and poured it into the well! The County Clare Library has additional resources about Killone Abbey Graveyard and St. John’s Well. NOTES: From pages 176-179 of Ireland Under Coercion: The Diary of an American; page 11 of Hurlbert unmasked : an exposure of the thumping English lies of William Henry Hurlbert in his ‘Ireland Under Coercion’ . This entry was posted in History, IUC, Revisted, Religion and tagged county clare, Ennis, Killone Abbey, St. John's Well on March 13, 2018 by admin.